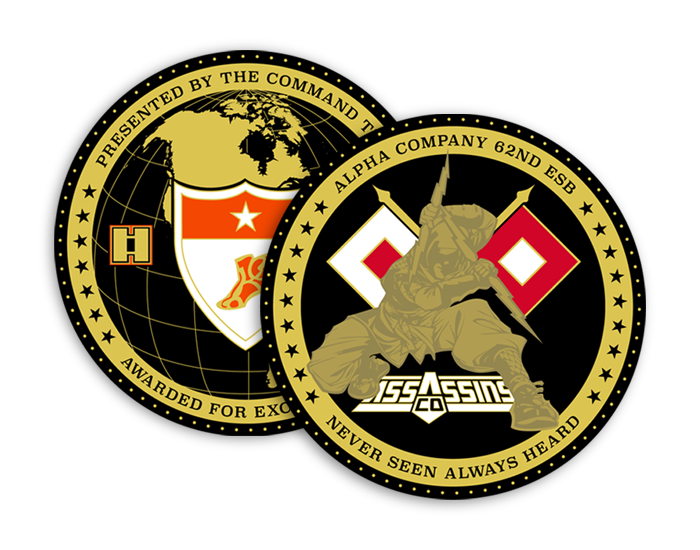 Alpha Company Assassins, Logo and Coin Design. This is a series of 4'0 posters designed to promote healthy eating in a military cafeteria. Call for Footage Poster and media samples from the 2015 12th Combat Aviation Brigades 30 minute Historical Documentary Video. 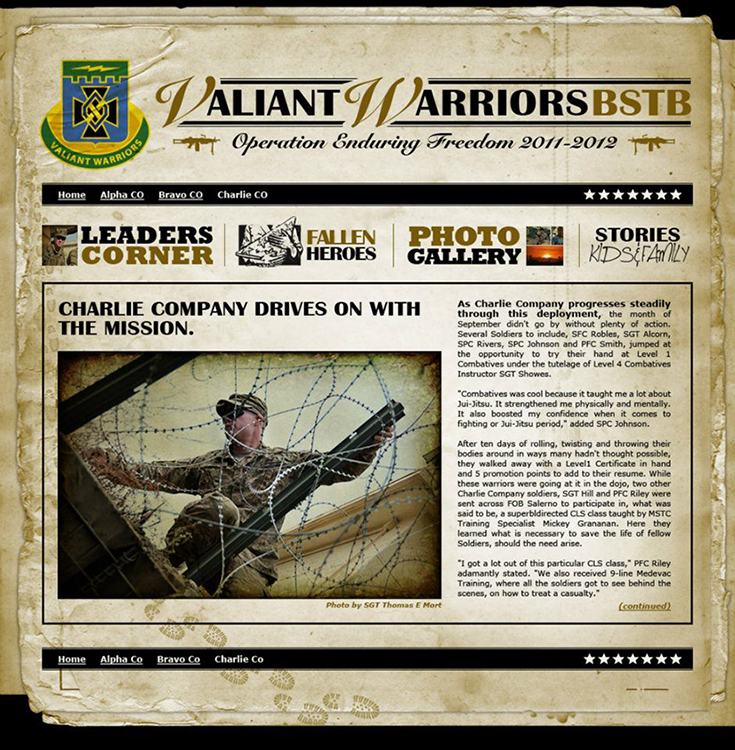 Online newsletter design for the 3/1 BSTB Battalion "Valiant Warriors". Charlie Company T-Shirt Design - Operation Enduring Freedom 2011-12. Ace Company Product Catalog design, layout and photograpy completed as part of AceCo's rebranding. Corporate Identity for Molenaar Jewelers in Boise, Idaho. CuddyMtn.com website design, layout, html and css coding for Creed Real Estate Company.